From 2009 to 2016 the Blackhawks have lost a ton of NHL players and prospects due to the Salary Cap* hit. The list below only counts the first direct contract** past the year they were last with the Blackhawks. It includes both prospects and NHL players that the Hawks lost. A lot of talent has been traded away seeing how deep and competitive this lineup could be. 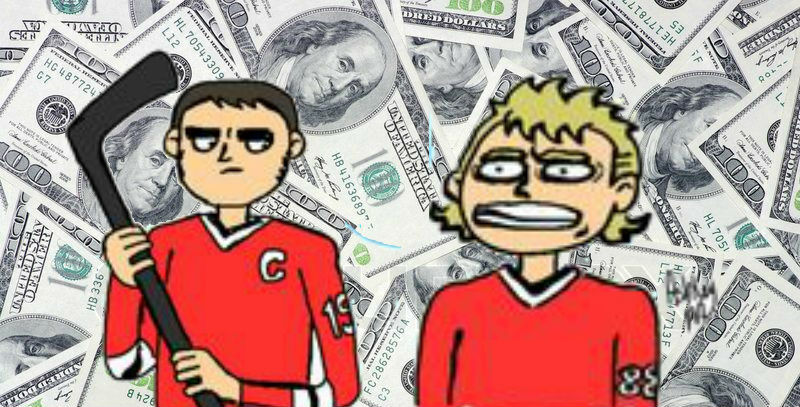 Some of the recent cap casualties are accounted due to the 8 year 10.5 million average per year cap hit signed by both Kane & Toews. Before signing these deals it was thought that the cap would go up a lot more then it did. The Canadian dollar dropped and the cap didn't increase. Despite all the players lost over the years the Blackhawks have been able to stay competitive.